There have been many studies showing the benefits of learning a new language, for Spanish, you are choosing one of the most spoken languages with over 400M Spanish speakers worldwide. An appealing opportunity for many of you, we’re sure! Whether you are learning for a holiday or helping connect with coworkers and clients, or even to impress a lady or guy friend. Spanish can be very rewarding for those who put effort into learning. Speaking Spanish can also be very beneficial. When it comes to travel and work when visiting Spain and Spanish-speaking nations you have a good chance of kicking off relationships, making friends and finding your way around with no problems. Spanish could be the best way to kick start your passion for languages, so let’s jump into what benefits can come from the challenge of learning Spanish. You may have heard this quote before; we believe it to be true. As a whole, language learning is very beneficial when it comes to expanding your opportunities. Whatever your use of the language, once you’ve acquired, it’ll be well worth your time. Learning a new language can open up new doors by giving you more people to speak to around the world, improving your intelligence and providing you with confidence that you never knew existed. There are various additional health benefits to learning a language. Being bilingual has been proven to help cognitive functions. Learning a new language isn’t only culturally beneficial, there are studies to suggest that being bilingual improves your functioning around basic tasks. In 2004, a study tested bilingual students against a monolingual student with a problem-solving activity; the bilingual students completed the task more quickly. There are many theories about why this happens. It might be due to the nature of switching languages across their day that might help with improving their perspective and ability to complete complicated tasks. When looking at heading to Spain, Spanish can be your golden ticket to a better experience. Spending your time panicking, or stuck in dictionaries will stress you out and being able to speak with natives will give you more options on your travels. There are 400 million Spanish speakers around the globe. 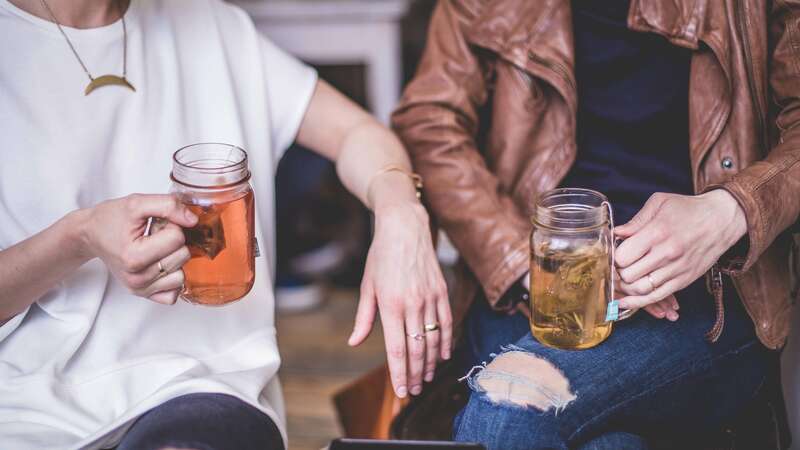 This activates the potential to connect with lots more people, whether that’s on your travels or in a local cafe, meeting new people will help you grow new relationships and expand your horizons. Employability is one of the core benefits of learning a new language like Spanish. Employers are always looking for new people to hire with a skill set, this helps them connect with new clients, business and expand their efforts. Speaking Spanish will look brilliant on your resume and really open new options for you. Need another excuse? Think of all the ladies or men you’ll be able to speak to when learning Spanish. Even if it’s a few words or a sonnet, those few words can help your spark a new romantic relationship. Something to always consider when traveling around. Brain fitness is a real thing. Studies have proven that your learning can be directly beneficial for your brain offering you better abilities when it comes to problem-solving. Spanish can help boost your intelligence that might put you in a better position in your daily activities. As you can see, there are many benefits to learning Spanish, but how would you get started? Methods like language lessons or a language tutor have been used for many years. They are some of the most common ways to learn a language and great for those who want to focus on learning the language in a much more controlled fashion. Apps are the new resources of choice for many language learners out there. Whether it’s using an online Skype service to learn a language or using a Spanish learning app like FlashAcademy to learn, there are many benefits for learners who use online and digital tools, they include; freedom, offline access and more cost-effective. Spanish opens up many doors, and during your learning process, it’s important to connect with other learners as well as native speakers to help progress with your language. Speaking to Spanish natives can help you improve vital elements of your fluency and accent. Both of these parts of the language can help your traveling and work as you’ll sound even more Spanish prompting many more compliments along the way. There’s much value in spending time with Spanish speakers, not only for the language but for the cultural elements. Spending time with natives will give you insights into daily Spanish routine, festivals, holidays and other culture aspects like cooking, clothing, religion and much more. Spanish people are open and friendly people, always open to meeting new people, so why not try bumping into some natives in your local area. Now you may be asking, how do you find native speakers and Spanish people in my area. You live in a busy city with little interaction thanks for the manic 8 am and 5 pm rushes? There are many resources to help you find your Spanish community wherever you are. Try using a tool like Meetup or even Eventbrite to find learners and native speakers in your area. Most events welcome guest but always check the full descriptions. It’s a great way to connect with all of the brilliant Spanish people in your city! They might not be in the pursuit to learn Spanish but they’ll appreciate your efforts of using the Spanish language. A lot of time, this sounds harder than it is, a lot of people might be introverted and struggle with this method so there are other solutions for you to learn Spanish. Try something like iTalki or Skype lessons that will help you to learn Spanish from the safety of your own home with Spanish speakers. It’s reasonably priced and helps to kick things off. As you can see, there is much merit in adopting a language into your set of skills. Persistence is something you’ll need to consider. A new language isn’t as easy as learning a static skill like “how to make a bowtie”, it requires lots of effort and practice, with continuous progress at the heart of your pursuit. Spanish is a fantastic language choice for any new language learner with a range of challenges. So if you decide to learn Spanish this year, know that taking the time to learn will pay off. There are so many wonderful things that come with learning a new language that you can embrace and become a part of. We suggest starting out light and progressing onto more advanced Spanish as you go. Ultimately, learning a language is very rewarding with lots of happy speakers of multiple languages around the world that can vouch for this. If you have any other benefits of learning Spanish, let us know in the comments!